Wham-O Wham-o Jr. Shaky Tree Sprinkler Just $17.99! Down From $69.99! You are here: Home / Great Deals / Wham-O Wham-o Jr. Shaky Tree Sprinkler Just $17.99! Down From $69.99! Wham-O Wham-o Jr. Shaky Tree Sprinkler Just $17.99! Down From $69.99! Sears has this Wham-O Wham-o Jr. Shaky Tree Sprinkler on sale for $17.99 (Reg. $69.99)! Catch some rays out by the palm tree then get drenched! 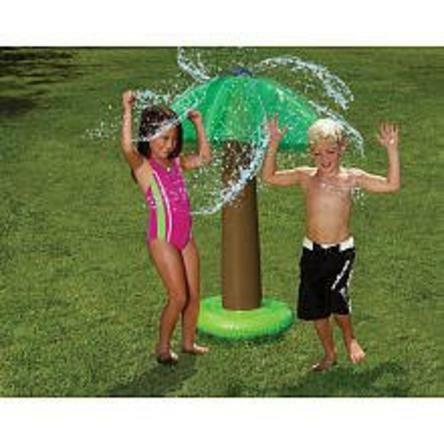 The Shaky Tree Sprinkler is a cute way for the kids to get wet this summer. This soft inflatable tree has a water filled base and is easy to set up, just connect and go!